It’s been a while since we’ve done a theme week, so before the holidays approach, we’ve put together a weeklong exploration of unconventional families. There’s a lot of pop culture fodder here to choose from, resulting in features like today’s Inventory that offers a taxonomy on family dysfunction. Oliver Sava writes about how The Runaways make up the best unconventional family in comics. We kick off a week-long series of Family Feuds with a battle between TV’s best single moms. And our Hear This and Watch This features will focus on this week’s favorite subject. Coming up, look for an Inventory on the best way to hide potentially destructive family secrets, and the pop culture families that most closely resemble our own. 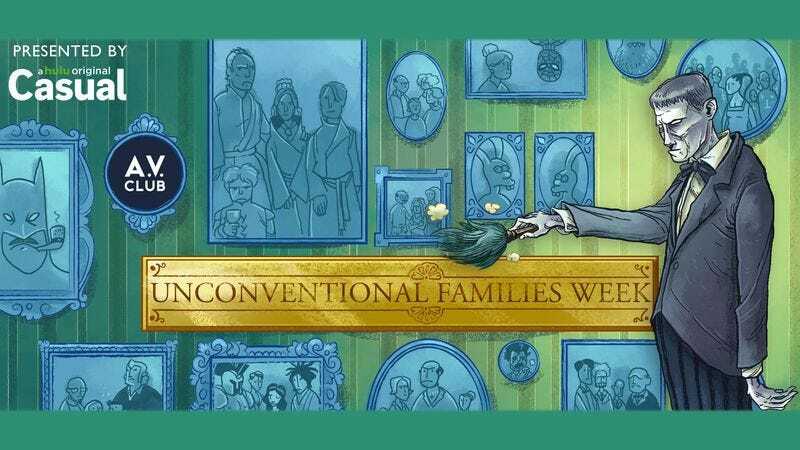 Enjoy Unconventional Families Week!